For Running Safety Tips click here. 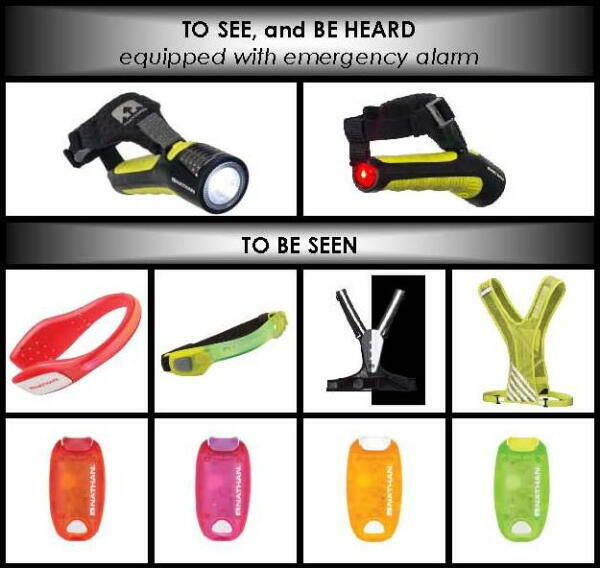 360-DEGREE REFLECTIVITY: Ensures you will be visible from any direction -- front, side and back. MULTIPLE REFLECTIVE POINTS: Provides sources for light to reflect from at different heights. RETRO-REFLECTIVITY: Reflects light back directly to its source for stronger visibility. ACTIVE LED LIGHTS: Provides visibility no matter where or what type of light sources exists. COLORED LED LIGHTS: Alert drivers as to which direction they are approaching you -- from the front (white) or from behind (red). HOW DO YOU GET LIT?